Looking for a chiropractor in Surprise AZ? 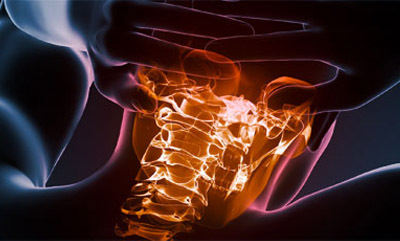 Heid Chiropractic in Surprise AZ specializes in rehabilitative care focused on eliminating pain as quickly as possible. Utilizing complementary exercises and manipulation to strengthen muscles, we aim to rebuild injured tissues and prevent further injury with periodic, ongoing treatments. Our chiropractors may also provide guidance to reduce work-related injuries, ensure proper lifting procedures and incorporate therapeutic stretching exercises. This holistic and collaborative approach focuses on overall patient healing and reduction of future incidents. If you’re looking for a chiropractor in Surprise AZ, Heid Chiropractic can help. Located at 16944 West Bell Road #602, Surprise, AZ 85374 , we serve many west Valley communities and are convenient to Bell Road and the Loop 303. Heid Chiropractic in Surprise AZ offers both chiropractic treatment and massage therapy Monday-Friday 8 am-6pm and Saturday 8am-1pm for your convenience.